This is our gingerbread village. We all decorated the little houses, and now it sits in the middle of our dinner table. The house is decorated all festively, though we aren’t all-out like the Griswolds or anything. But since it is now Christmas Day, I just wanted to take this opportunity to say Merry Christmas to you, and Happy Holidays to all! And don’t forget to Jingle all the way. Not some of the way, all the way. 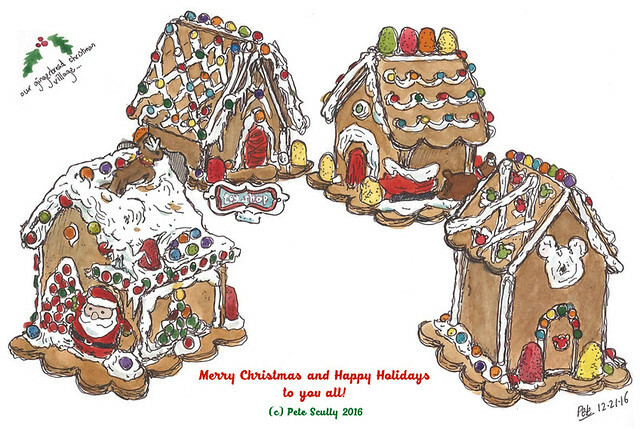 Merry Christmas, Pete and Scully family!